Power Star Pawan Kalyan's Janasena Party is all set to contest the upcoming elections for Andhra Pradesh assembly and the Lok Sabha elections in Andhra Pradesh and Telangana. He is currently busy with his Porata Yatra in Andhra Pradesh and trying to attract the voters to vote for his party and give him the chance to change their destiny rather than vote for Chandra Babu Naidu's TDP and Jagan's YSRCP. In the meantime speculation is on whether Young Rebel Star Prabhas will campaign for Pawan Kalyan. 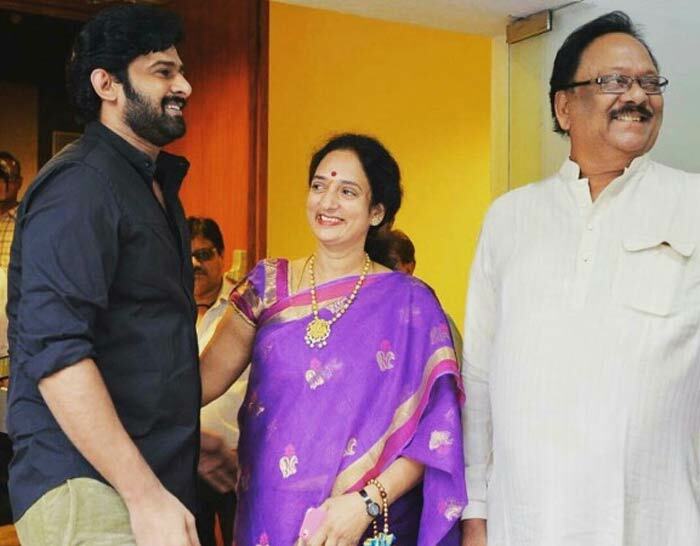 It is coming out that Prabhas' uncle Krishnam Raju's wife Shyamala Devi is planning to join Janasena party and contest from Narsapuram for the assembly elections in Andhra Pradesh. The moment Shyamala Devi joins Janasena, Krishnam Raju who is currently in BJP and who earlier won from Narsapuram on BJP ticket and even became the Union Minister, may also join Janasena. Prabhas then invariably should support his uncle Krishnam Raju and aunt Shyamala Devi and also Pawan Kalyan's Janasena. Fans of both the stars are getting super excited on hearing this news and they feel that none can stop the combined power of Baahubali and Gabbar Singh.